Where to find all 13 Lucky Emblems in the Caribbean world of Kingdom Hearts 3. 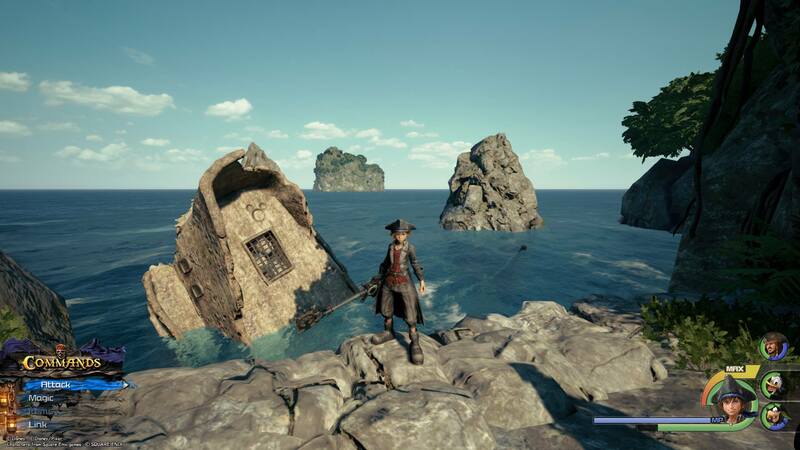 In Kingdom Hearts 3, players will need to find and photograph Lucky Emblems in worlds like the Caribbean in order to unlock the game’s secret video. While most worlds have around a dozen Lucky Emblems to find like Arendelle and Monstropolis, smaller worlds like 100 Acre Wood have less. Meanwhile, the Caribbean has the most Lucky Emblems per world at 13 to find in total. Struggling to find one or more Lucky Emblems in the Caribbean? We’ve got you covered! 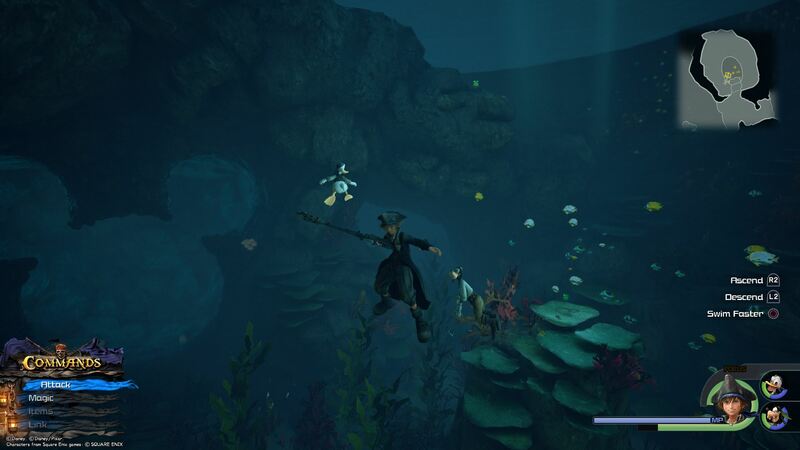 Below, we’ve put together a quick guide on where to find all 13 Lucky Emblems in the Caribbean world of Kingdom Hearts 3. There are 13 Lucky Emblems to find in the Caribbean world of Kingdom Hearts 3. 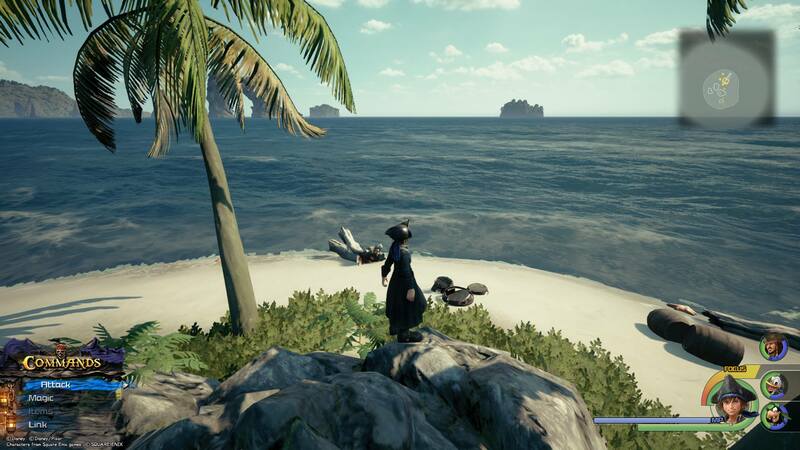 In the Caribbean world of Kingdom Hearts 3, there are 13 total Lucky Emblems to find. To photograph them, you’ll need to use the camera feature on your Gummiphone. This can be done by pressing the touchpad on your PS4 controller, or the Change View button on Xbox One. After you’ve done this, you’ll need to align the square box over the Lucky Emblem and snap a photo. Note that you can zoom in and out using the left and right trigger buttons if you’re too close, or too far away. Struggling to find Lucky Emblems in the Caribbean? Below, we’ve listed where to find all 13 Lucky Emblems in the Caribbean world of Kingdom Hearts 3. 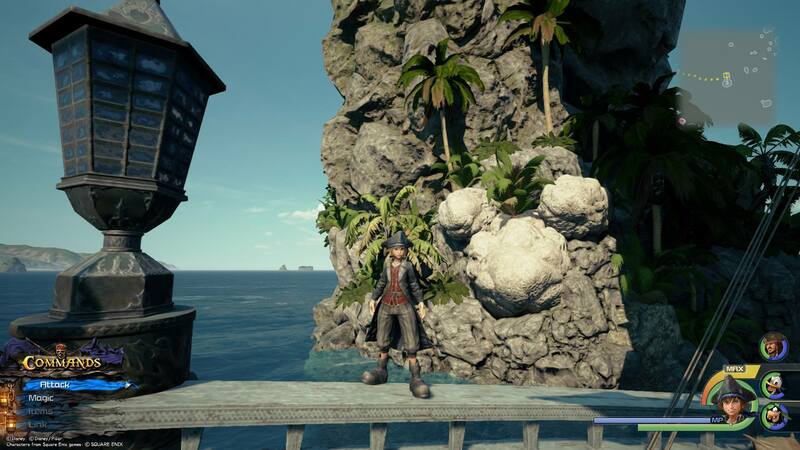 The first Lucky Emblem can be found near the Docks save point at Port Royal. The best place to start your Lucky Emblem quest is the Docks save point at Port Royal. From the save point, head down the dock until you see a raft floating alone on your right. Hop over to the raft, and at the top, you'll find the first Lucky Emblem. From the Docks, head into town and make a left until you reach an open building. On one of the pillars, you'll find the second Lucky Emblem in the Caribbean. After collecting the first Lucky Emblem, head into town and make a left. Keep going until you reach the open building at the very end. Inside on the side of a pillar, you'll be able to spot the second Lucky Emblem made out of exposed bricks. In the Seaport area of the Settlement, investigate a dilapidated shack to find the third Lucky Emblem. While in Port Royal, head deeper into the Settlement until you reach the Seaport. Note that this area can also be reached by swimming directly across and to the right from where you found the second Lucky Emblem. Near the shore, there's a dilapidated shack. To the back and left, you'll find the third Lucky Emblem on the side of a fruit crate. Another Lucky Emblem can be found on the Seaport dock. 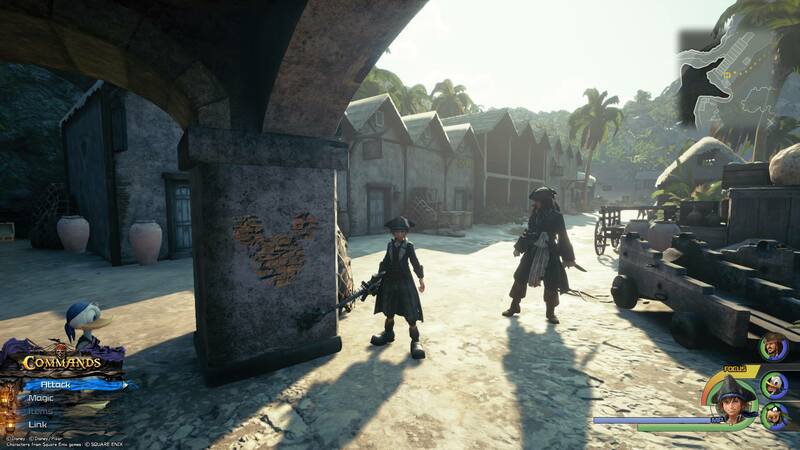 The fourth Lucky Emblem in the Caribbean world of Kingdom Hearts 3 can be found along the Seaport dock. Start at the end of the dock and walk towards town. As you do this, look at the pillars above you. On the very last one, look up and you'll be able to spot the fourth Lucky Emblem. 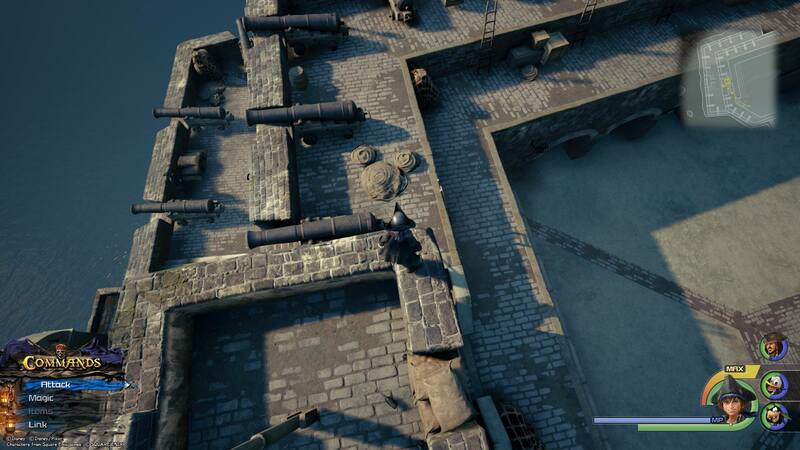 Head to the top of the Fort at Port Royal near the British flag and look down to spot the fifth Lucky Emblem. 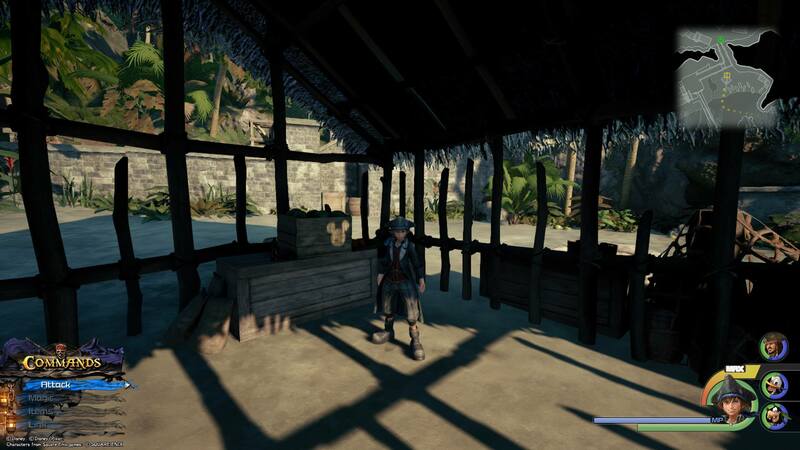 When you've finished with the Seaport, head up and left to the Fort area of Port Royal. Climb up the walls to the very top of the fort and stand on the ledge underneath the British flag. Look down, and you'll be able to spot the fifth Lucky Emblem. 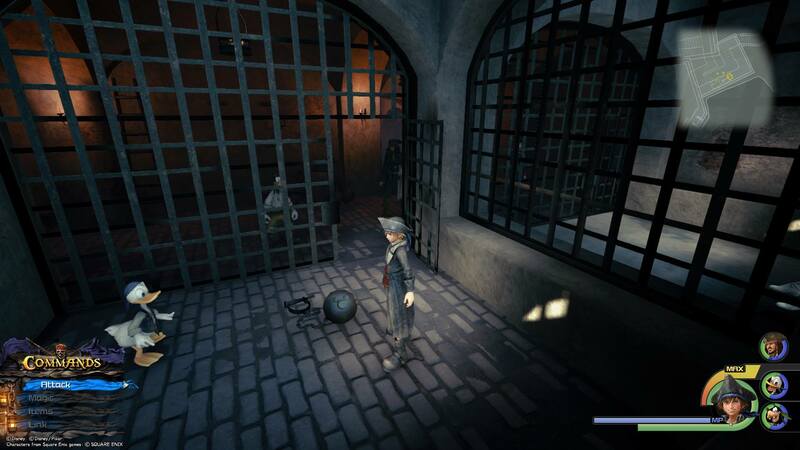 Enter the Fort and head down to the prison area to find the sixth Lucky Emblem on the side of a ball and chain. With the fifth Lucky Emblem collected, head down and into the prison area of the Fort. There, you'll find several cells. In the second cell, you'll see light falling over a ball and chain. Walk in and view the ball and chain from the back to spot the sixth Lucky Emblem in the Caribbean. Sail to Isla De Los Mástiles to find the seventh Lucky Emblem in the Caribbean. Once you've finished collecting Lucky Emblems in the Port Royal area, board your Leviathan ship and set sail for Isla De Los Mástiles. On the southwest edge of Isla De Los Mástiles, swim a few feet away past several rock pillars to a lone island nearby. Defeat the enemies, then stand on the center rock and look out towards the shore. There, you'll find the seventh Lucky Emblem in the form of three broken barrels. Sail to Horseshoe Island, sail under the large stone archway, then look to your left. There, you'll find the eighth Lucky Emblem. Next, you'll want to sail to Horseshoe Island. When you're greeted by a large stone archway, sail underneath it, then stop your ship and look to the left. In doing so, you should be able to spot the eighth Lucky Emblem in the Caribbean. From Horseshoe Island, head to the Isle of Luck and climb up the large rock pillar in the center. Look down, and you'll see the ninth Lucky Emblem. Near Horseshoe Island is the Isle of Luck. Sail over, then leave your ship and investigate the island. In the center is a large rock pillar. Climb to the top and look down over the edge to find the ninth Lucky Emblem in the Caribbean. Sail to Sandbar Isle and venture into the center until you find a circular area of water. Look down and at the top of a small rock, you'll see the tenth Lucky Emblem. Over on Sandbar Isle, you can grab two Lucky Emblems at the same time as they're located right next to each other. 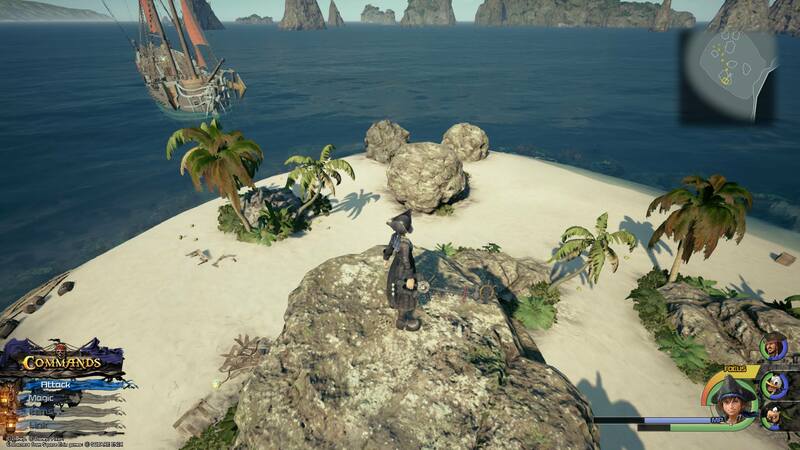 When you reach Sandbar Isle, exit your ship and head into the center area of the island. There, you'll descend down several rocks until you encounter a deep pool of water that you can dive into. Before you dive down, look for a Lucky Emblem on top of a small rock as this is the one you'll want to photograph first. The eleventh Lucky Emblem is located to the left of the tenth Lucky Emblem on Sandbar Isle. Using the same image, once you've photographed the tenth Lucky Emblem as seen on the right, dive down into the water and look to your left. There, you'll find an opening in the shape of the eleventh Lucky Emblem in the Caribbean. Sail to Ship's End and explore the small island to find the next Lucky Emblem in the Caribbean. With Sandbar Isle complete, return to your ship and sail over to Ship's End. Exit your ship and head to the back of the tiny island. Look out at the sea and you'll see a ship sticking up out of the water. At the edge of the ship, you'll be able to find and photograph the twelfth Lucky Emblem in the Carribean. The trickiest Lucky Emblem to capture is located on Isla Verdemontaña. When you arrive, locate the save point, and from the save point head into the narrow path through the island. Climb the walls until you reach the top, then make a right and you'll eventually come across a cliff overlooking the last Lucky Emblem in the Caribbean. The Lucky Emblem we had the hardest time finding is located on Isla Verdemontaña. 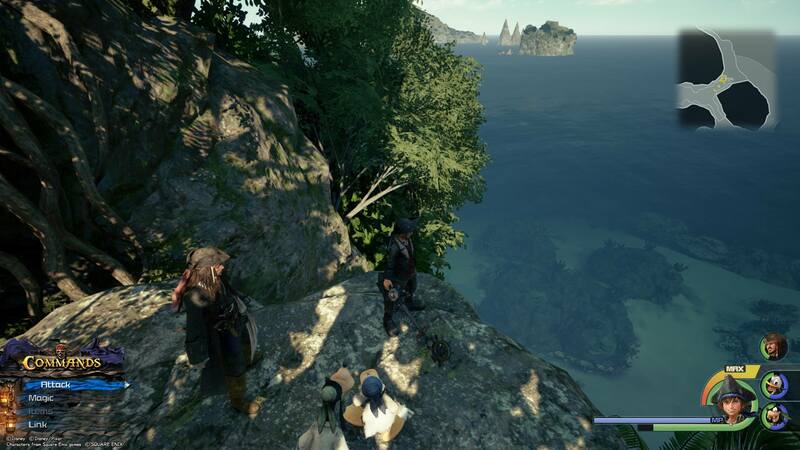 To find it, you'll want to sail over to Isla Verdemontaña and circle around the island until you spot the save point. Exit your ship and feel free to use the save point to preserve your progress. With this done, head slightly left and into the island. There are several walls you can climb, as well as several Heartless to defeat. Climb up the walls and when you reach the top at the end, head slightly right and in again until you reach a cliff overlooking the sea. In the water at the bottom, you'll see several large rocks in the form of the thirteenth and final Lucky Emblem in the Caribbean. Because the thirteen Lucky Emblems are spread out over several small islands in the Carribean world of Kingdom Hearts 3, you'll want to familiarize yourself with the map. To view the map, board the Leviathan and interact with the wheel to begin sailing. Before you move forward, you'll be given the option to open up your map. 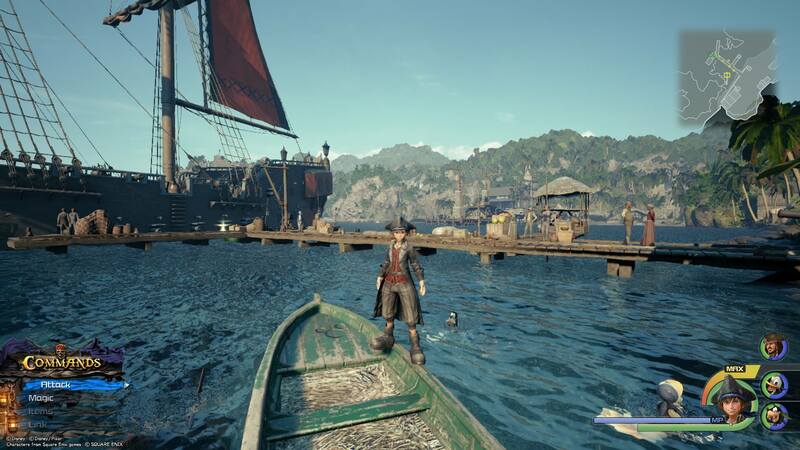 With your map open, you can interact with a location you previously visited to fast travel there, and you can get a general idea of which direction you need to sail in to reach islands like Sandbar Isle or Isla Verdemontaña. 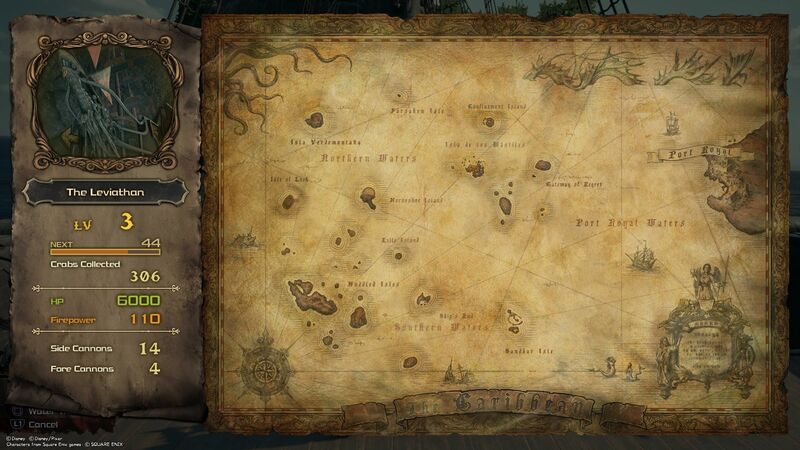 Below, we've included an image of the Carribean map to help you strategize which Lucky Emblems you want to pursue first. 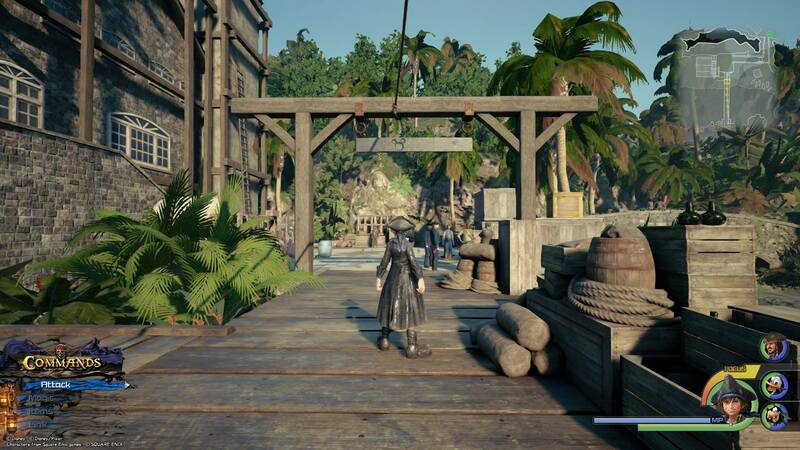 While sailing the Leviathan, you can open up a full map of the Caribbean world of Kingdom Hearts 3 and fast travel to any points you previously visited. While we recommend starting at Port Royal, the order you visit each of the islands with Lucky Emblems on them is entirely up to you. You can choose to go in the order we've listed above, or you can skip around. By finding and photographing all 13 Lucky Emblems in the Caribbean, you’ll be that much closer to unlocking the secret video for Kingdom Hearts 3. Plus, the more Lucky Emblems you photograph, the more in-game rewards you’ll earn. 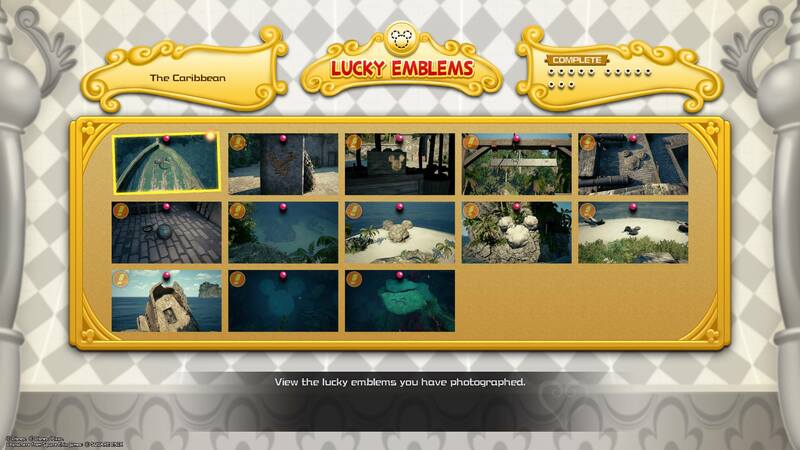 So, were you able to find all 13 Lucky Emblems in the Caribbean? Which Lucky Emblem was the hardest to find? Let us know down in the comments below! For more on Kingdom Hearts 3, be sure to check out our previous Lucky Emblem guides including where to find all 11 Lucky Emblems in the Arendelle world of Kingdom Hearts 3, where to find all 11 Lucky Emblems in the Monstropolis world of Kingdom Hearts 3, and where to find all 11 Lucky Emblems in the Toy Box world of Kingdom Hearts 3.